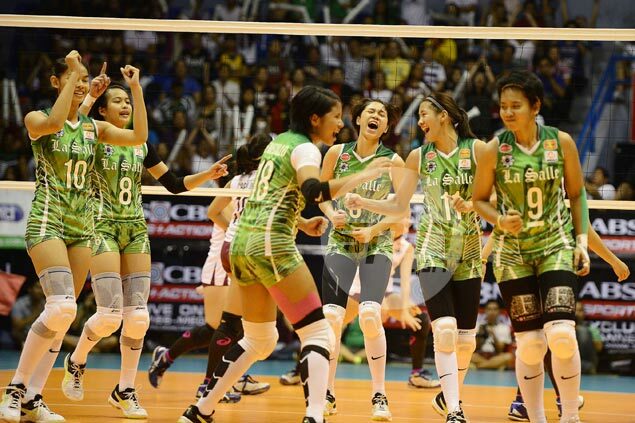 La Salle stars led by Mika Reyes and Ara Galang are set to see action in the PSL. MIKA Reyes, Cyd Demecillo, Kim Fajardo, Kim Dy and other stalwarts of reigning UAAP champion De La Salle will banner the bumper crop of players set to see action in the 2016 Philippine Superliga (PSL) All-Filipino Conference women’s volleyball tournament starting on June 18. Open spiker Ara Galang is also expected to join her La Salle teammates, but she has yet to decide whether to go through the draft or enter as a direct hire of F2 Logistics, which will be led by former Lady Spikers stars Cha Cruz, Stephanie Mercado, and Aby Marano. Another former Lady Spiker in Carol Cerveza will also see action. She, however, signed up with Grand Prix champion Foton together with University of Santo Tomas stars EJ Laure and Cherry Rondina. The draft, though, remains stacked with talent. Former NCAA MVP CJ Rosario is expected to hug the limelight when the league stages its 3rd Annual Rookie Draft on May 27 at the third floor lobby of SM Aura in Taguig City. After making heads turn for Petron, the 6-foot-1 middle blocker looms as the top overall pick while fellow former Arellano stars Danna Henson and Angelica Legacion are also tipped to get prominent draft positions. Also expected to be taken in the first round of the three-round affair are Davao standout Mary Grace Berte and former National University playmaker Jocelyn Soliven as well as Renelyn Raterta, Sarina Bulan, Christine Suyao, Marlyn Llagoso, Jerra Mae Pacinio, Gen Casugod, Jonafer San Pedro, Kristine Dave, Loraine Palomar, Eloisa Medina, Sheryl Laborte, Lourdes Patilano and Suzette Salas. Three-time champion RC Cola-Army will pick first followed by Generika, University of Perpetual Help, Standard Insurance, F2 Logistics, Cignal, Petron and Foton. Prior to that, coaches will get a chance to see the rookie hopefuls in action as the league stages a pre-draft camp on Tuesday at the FilOil Flying V Center in San Juan. The potential rookies will also get to test their skills in a friendly match against the PSL All-Star team following the pre-draft camp. “We will never get tired of opening our doors for these young players,” Suzara said. “We are looking forward to grow with the league and have them blossom into the volleyball stars of the future."